Easy Roasted Mushrooms, a flavorful and juicy appetizer or side dish. 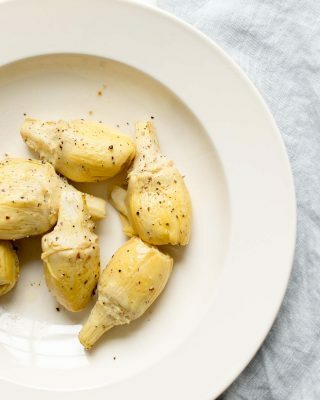 These garlic mushrooms take just 5 minutes hands on time! 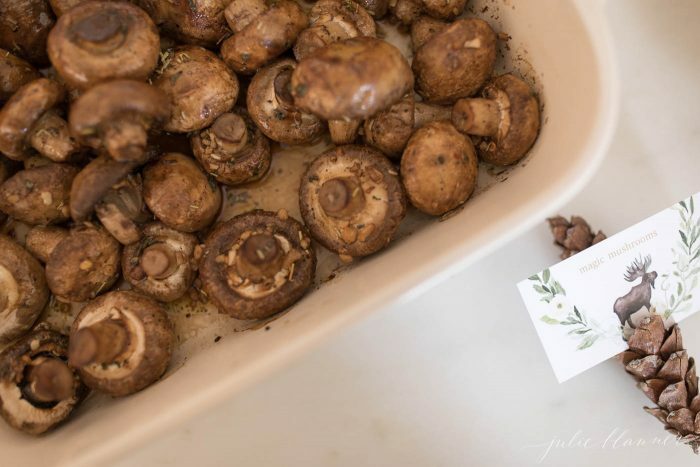 Oven roasted mushrooms are low calorie, low carb, Whole30 and keto approved. Make these with white mushrooms or button mushrooms! These garlic mushrooms are light and healthy, but taste rich and hearty! They’re so filling, yet with flavor this good, you just can’t get enough of them! They’re perfectly poppable, but are also amazing tossed in just about everything! JUST TAKE ME TO THE EASY ROASTED MUSHROOMS RECIPE ALREADY! 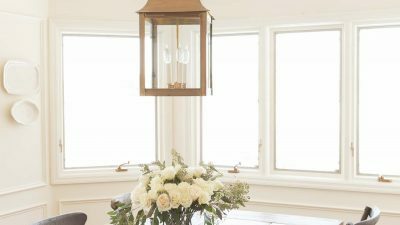 I get a lot of questions and comments on my recipes and posts, so I try to provide as much information as possible for my readers. If you would like to skip directly to the garlic mushroom recipe, please scroll to the bottom of the page where you’ll find the easy printable recipe. Roasted mushrooms are one of the quickest and easiest side dishes. You can marinate them in a plastic bag with oil, garlic and herbs or in the dish you bake them in. In less than 5 minutes they’re oven ready! Garlic mushrooms have so much flavor – with so little effort. They make a delicious savory appetizer or side dish. Either way, you won’t be able to keep your hands off them! Garlic is the perfect compliment to savory white mushrooms. You only need a handful of ingredients to make this garlic mushroom recipe. Mushrooms, olive oil, minced garlic (I always use minced garlic from a jar found in the produce section but you can freshly mince garlic if you prefer) and herbs. I use one of my favorite seasoning blends in this recipe (it’s the same blend I use in my bread dipping spices). However, you can easily adapt this mushroom recipe with your favorite spices using garlic and olive oil. It’s fun to mix it up when you make them over and over again! 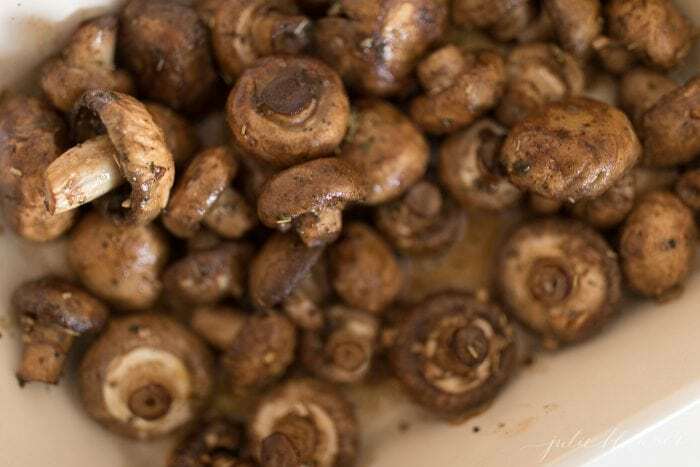 Oven roasted mushrooms require less oil than you need to sauté them on the the stove. When you roast mushrooms in a single layer in the oven, they bake in their natural juices creating a tasty sauce. This process makes them incredibly tender. When you remove them from the oven, just drizzle the pan juices over the roasted mushrooms to make them even more amazing! 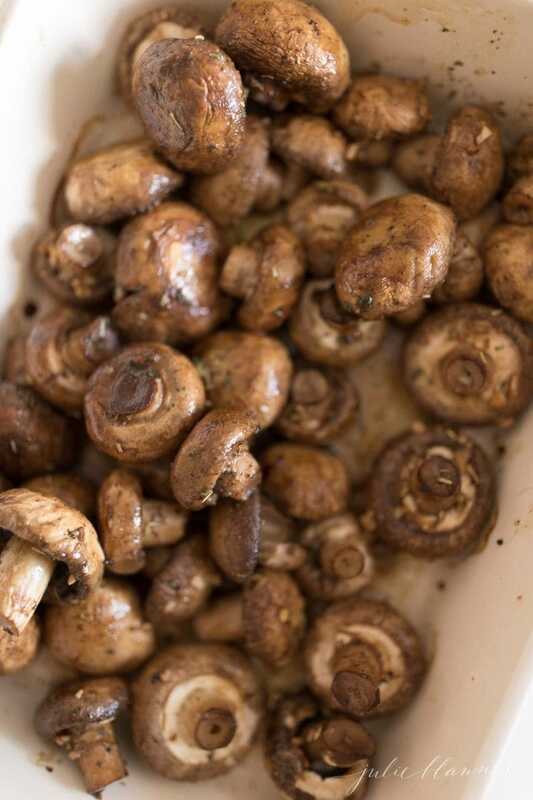 When you sauté mushrooms on the stove, the juices (along with a lot of the flavor), evaporate. That’s why I love roasting white mushrooms! Not to mention it’s quicker and easier! You just pop them in the oven and walk away giving you more time to prep your main course. This mushroom recipe is vegan, gluten-free, dairy-free, low calorie, low carb, Whole30 and keto approved, but even this non-dieter can’t get enough of them! They’re so craveable! There are just 43 calories per serving and only 3 carbs! Mushrooms are so good and so healthy! White Mushrooms are packed full of nutrients. They’re a great source of fiber, Vitamin D, Vitamin B, and potassium! So they’re not only good, but good for you! 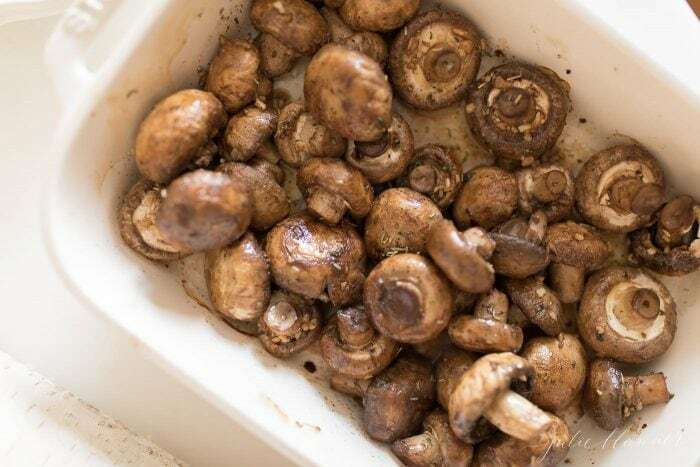 In cold water, rinse off each mushroom under the faucet individually, removing any dirty spots by rubbing your fingers over them. You can clean them with a damp paper towel if you prefer. Place on paper towels to absorb any extra water. Mushrooms absorb water so take a less is more approach to cleaning them. For the perfect roast, cook them immediately after cleaning. 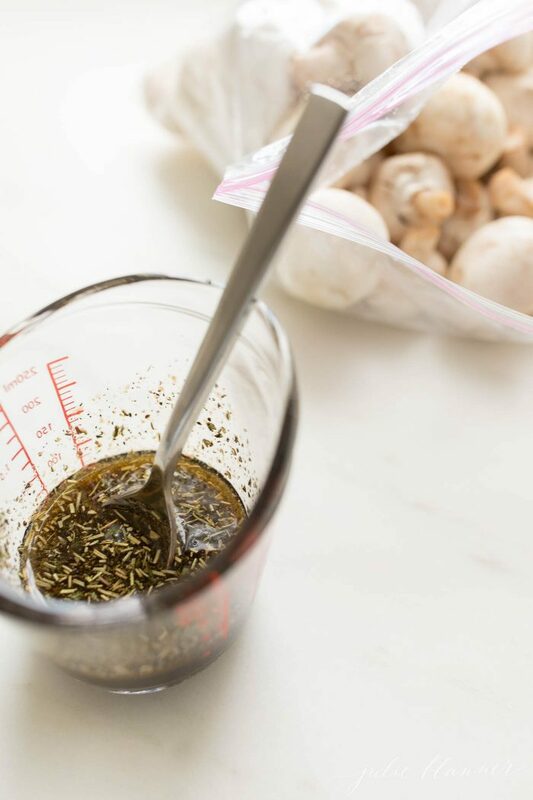 Drizzle or toss white mushrooms (button mushrooms are delicious, too) with extra virgin olive oil, balsamic minced garlic and herbs. Spread them in a single layer in your casserole dish or baking sheet. Roast mushrooms at 425 degrees F for 15-20 minutes (depending on the moisture content of your mushrooms), until tender. Drizzle the pan juices over the mushrooms and serve! You’ll want to serve them with just about everything. They pair well with steak, Baked Chicken Breast, burgers and so much more! You can even serve garlic mushrooms on toast! Try them with a touch of cream for a delicious twist or blend them into butter. 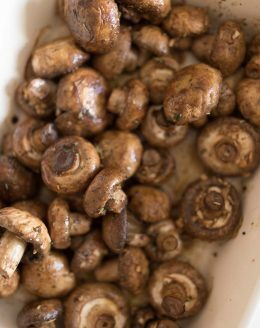 Since mushrooms have high water content, it’s best to prepare them (like roasting them) before freezing. This will give them a lot more versatility in how you use them! Roasted mushrooms will keep for 3 to 5 days in the refrigerator. Did you know that you can freeze mushrooms? These mushrooms freeze fabulously. It is simple to toss in the freezer and reheat when you want a rich and comforting accompaniment. That way you can enjoy any leftovers tossed in dishes like pasta, chicken, steak, casseroles, pizzas, soups, stews and more! 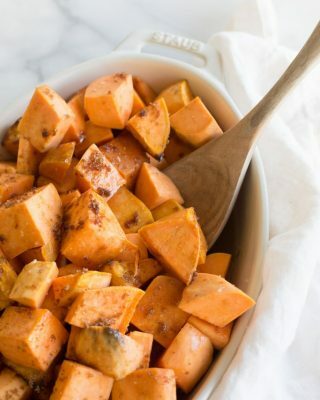 This is the perfect make ahead dish! 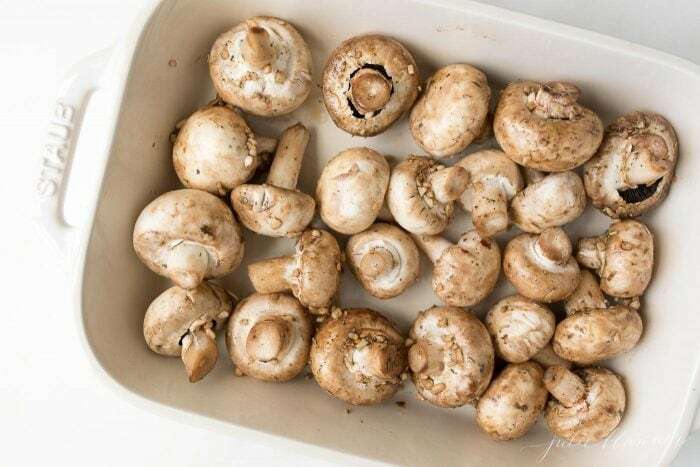 You can store oven roasted mushrooms in an airtight container for up to three months in a freezer. Allow them to cool to room temperature before freezing. 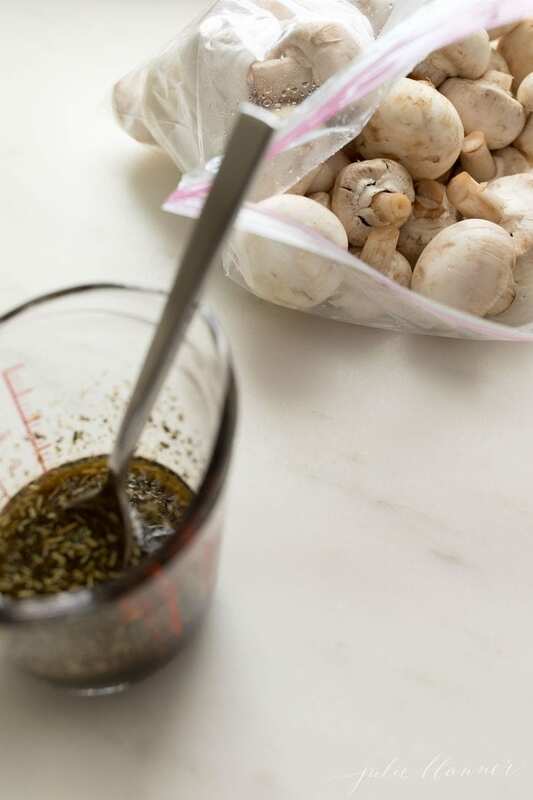 Place mushrooms in a freezer bag in a single layer and store horizontally. Combine balsamic, olive oil, garlic and herbs. Toss with mushrooms. 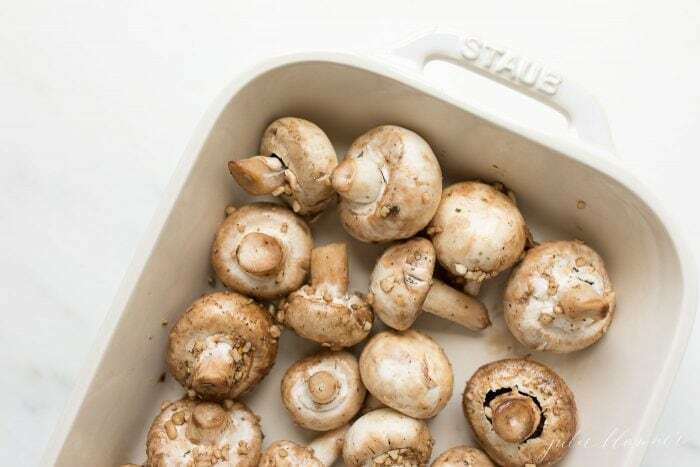 Place mushrooms in a single layer in a baking dish. Bake 15-20 minutes, until tender. 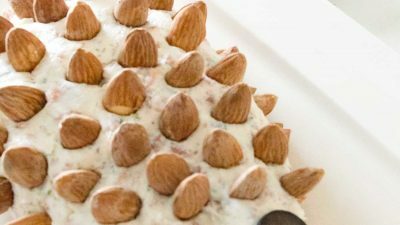 Use your favorite seasonings to adapt this easy appetizer or side dish! So tender and delicious – I love the hearty, almost meaty flavor these mushrooms have!